Real Sound | DJ and music production training in Dublin. 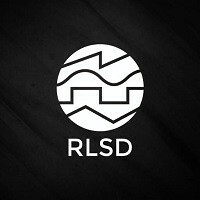 Check out Real Sound Dublin’s innovative and technical music production courses on Nightcourses.com. Real Sound offers DJ and music production training in Dublin. The school provides professional courses with a certificate of completion for successful participants. Perfect for newcomers who are just starting out or for intermediate and experienced DJ/producers looking to improve their skills. Real Sound has industry professional Tutors that will guide students through their certified courses. They also provide continued support after course completion through their forum/student area. Real Sound started in 2009 when three friends converged with like minded idea’s. Doug Cooney being one of the founding members. Doug has been working in the DJ’ing and music production industry since 2004 and set up Real Sound to address the need for high quality courses for people interested in DJ’ing and music production. Since then Real Sound has gone on to help train dozens of young aspiring DJ’s through its courses in Dublin’s City Centre. Real Sound has also been lucky enough to have been asked to team up with the DJ Society in DIT and the Digital Arts Society in Trinity College. They offer training courses in DJ’ing & music production across a variety of platforms including Ableton and Logic Pro X. Real Sound pride themselves on having experienced industry professionals with their finger on the pulse of the ever changing world of music technology. Getting involved in DJ’ing and music production is something they are passionate about. The school’s objective is to share their knowledge with the next wave of up coming electronic artists. They offer hands on training with small classes including 1 on 1 sessions to make sure you get what you need from the courses.